Ebay and PayPal will become two separately listed companies in 2015 after eBay’s board decided it will not be in either operations' benefit to stay together. 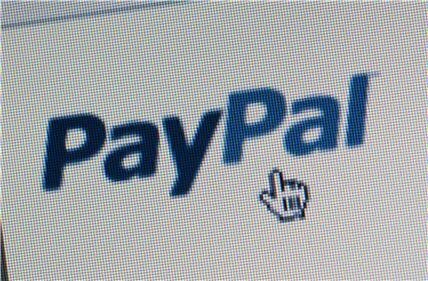 Ebay acquired payment company PayPal in a deal worth $1.5bn (£960m) in 2002. The split will enable each business to focus separately on growth while retaining “arms length” agreements. Ebay Marketplaces president, Devin Wenig, will become CEO of new eBay, while American Express executive Dan Schulman joins PayPal as CEO. “Creating two standalone businesses positions eBay and PayPal to capitalise on their respective growth opportunities in the rapidly changing global commerce and payments landscape – and is the best path for creating sustainable shareholder value,” the company said. Ebay CEO John Donahoe said eBay and PayPal have benefited from being part of one company for over a decade. “However, a thorough strategic review with our board shows that keeping eBay and PayPal together beyond 2015 clearly becomes less advantageous to each business strategically and competitively," Donahoe said. He said the industry landscape is changing, and each business has different competition and opportunities. Ebay said its board of directors regularly ask whether separation make eBay and PayPal more competitive. PayPal processed $27bn in mobile payments in 2013 and expects to process one billion mobile transactions in 2014. The payments sector is evolving fast and the split from eBay will give Paypal more flexibility. PayPal is investing in growth. In August it launched an open beta for developers to incorporate one-touch PayPal payments technology into mobile apps. The company also recently targeted growth in new areas such as providing online cash advances to small businesses in the UK. The online payment platform offers cash advances to existing business customers and eBay. PayPal will provide interest-free cash against the businesses’ future sales. “Being a separate business will give Pay Pal more flexibility,” added Lodge. He said there was speculation that PayPal might buy companies in the finance sector including card providers.